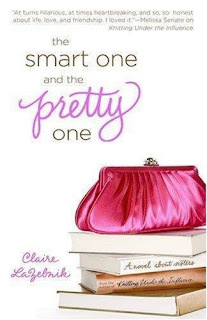 Thanks to Miriam Parker @ Hatchette Book Group, I am able to give away 5 copies of The Smart One and the Pretty One by Claire LaZebnik - Thanks Miriam! When Ava Nickerson was a child, her mother jokingly betrothed her to a friend's son, and the contract the parents made has stayed safely buried for years. Now that still-single Ava is closing in on thirty, no one even remembers she was once "engaged" to the Markowitz boy. But when their mother is diagnosed with cancer, Ava's prodigal little sister Lauren comes home to Los Angeles where she stumbles across the decades-old document. Frustrated and embarrassed by Ava's constant lectures about financial responsibility (all because she's in a little debt. 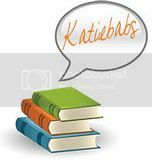 Okay, a lot of debt), Lauren decides to do some sisterly interfering of her own and tracks down her sister's childhood fiancé. When she finds him, the highly inappropriate, twice-divorced, but incredibly charming Russell Markowitz is all too happy to re-enter the Nickerson sisters' lives, and always-accountable Ava is forced to consider just how binding a contract really is . . . Fill out the form below with as many answers as you can. If there is a required question, you must answer that to enter. For an extra entry - comment below telling me you filled out the form! Deadline October 30th, 2009 @ 11:59PM Est. US & Canada Residents Only. No PO Boxes.